Estimating costs to build a deck begins with good planning. Materials, tools, permits, and delivery all add to the cost. Accurately estimating your materials and having a good plan in place are all factors to consider. So, how much does it cost to build a deck? Read on to find out. 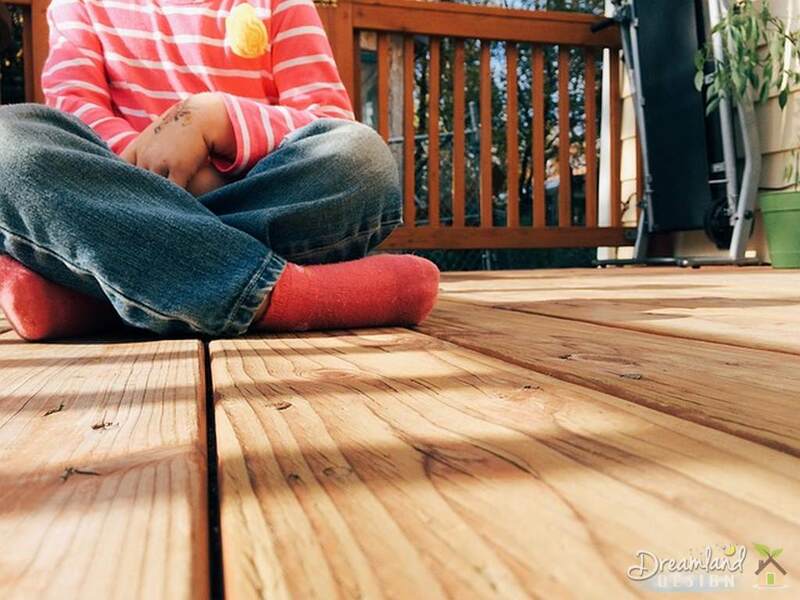 The materials for a new deck are not the only cost involved and depending on the size of the deck, the project can cost thousands of dollars. Accurately estimating costs to build a deck depends mainly on good project planning. How much does it cost to build a deck? Start with a trip to the building department in your community. Not only will they give you the permit costs, but most have a handout that details requirements specific to your community. You’ll also find out what needs to be inspected and when, both important factors to staying on budget. Make a detailed plan for your deck that includes the footings, posts, framing, decking, stairs, railings and deck skirt. This will be required for the permit application and will aid you in calculating what materials will be required. Graph paper is a good choice for hand made drawings or use one of the many inexpensive deck programs that include a bill of materials. Estimating costs to build a deck begins with the cost of the materials. Make a bill of materials list starting with the footings and working your way up. Calculate how much concrete you will need and the cost of cardboard forms, post brackets, fasteners and posts. Don’t forget to include gravel or stone delivery and landscape cloth for under the deck. Framing materials include ledger boards, which attach to the house, joists, rim joists, beams, stair stringers, joist hangers, stringer hangers, post to beam brackets, railing posts, 1/2-inch nuts, bolts and washers, 1/2-inch lag bolts, screws and bracket nails. From your drawing, determine the length of all the pieces and the quantities. The fasteners and brackets will add substantially to your budget so estimate accurately. Determine how many deck boards you’ll need and their length. Don’t forget you’ll use the deck boards as stair treads. Remember to include the fasteners, especially if you use the new composite lumber. Railing sections typically include an upper and lower rail and the balusters. If you’re using a railing system, find out ahead of time if any special hardware is required and include that cost as well. Again, don’t forget the fasteners. Whatever you will use for skirting the deck should also be included in the cost. You’ll want to finish the deck with a stain and sealer. Decide in advance what you want to use to include the cost. You’ll probably need more than advertised to coat the deck the first time so be sure to add in extra. Some tools to rent include an auger for digging the footings and a cement mixer for mixing the concrete, both well worth the additional cost for a half-a-day rental. On hand you’ll want a 4-foot level, plumb bob, mason line, tape measure, circular saw, drill, bits, screwdriver bits, squares, post level, hammer, wooden stakes and assorted lumber for temporary use just to name the basics. If you have to buy the tools, put the tools in the budget. Take your bill of materials and head over to the home center, lumber yard and hardware store. Find out how much each item costs and add it to the list. At home, total the amounts and your budget is nearly complete. Once you get permit approval from the building department, make any adjustments they required to the plans and modify your budget accordingly. Don’t forget to add the delivery costs and tax to determine how much it costs to build a deck. It’s a rare project that doesn’t have an unexpected cost or two: a board gets cut wrong, you decide to upgrade the railing system or an inspector wants a change. All cost money. Add an extra 10 to 15 percent onto your budget after estimating costs to build a deck. If you don’t use it, you’re money ahead.